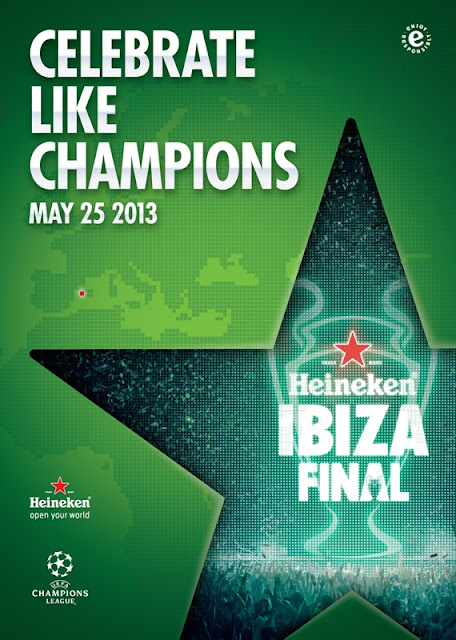 Heineken invites Malaysian football fans to the UEFA Champions League (UCL) Final VIP viewing event in Ibiza, Spain on 25th May 2013. As some of the best football teams in the world battle it out to reach the UEFA Champions League Final, Heineken today announced the launch of its ‘Heineken Ibiza Final’ campaign to celebrate its seventh consecutive year sponsoring the UEFA Champions League (UCL). The Heineken Ibiza Final campaign is now live from 1 - 20 April 2013 online at Heineken’s Facebook Page www.facebook.com/Heineken and at all participating Heineken outlets in Malaysia.